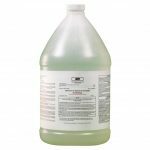 Ravage Rinse is a super concentrate, non-residue forming wettable powder that uses the power of oxygen for surface preparation, source removal and organic stain removal. 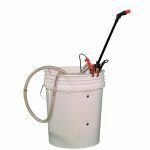 It is an ideal product for mold remediation, fire, sewage, Category 2 and Category 3 water loses, trauma, post-mortem and crime scene clean-up projects. Ravage Rinse is completely shelf stable. 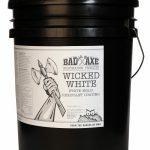 Its low toxicity and volatile organic compound (VOC) compliance keeps working and living environments safe for restoration workers and their customers both during and after the job. Ravage Rinse has variable dilution ratios making it a suitable multipurpose cleaner for household surfaces such as carpet, tile, grout, synthetic rugs, concrete, stone patios and composite decking. 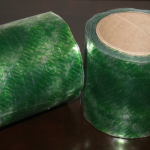 It is ideal for hard, semi-porous and porous surfaces including: finished and unfinished wood, laminated surfaces, stone painted or sealed surfaces, tile, metals, glass, fiberglass, composites, plastics and vinyl (such as those materials used in restoration equipment, personal protection equipment and within construction materials like HVAC, plumbing, flooring, walls and structural substrates). 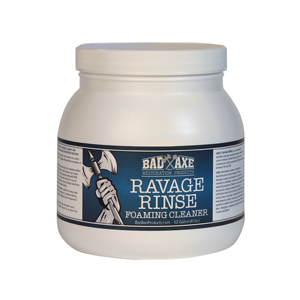 Ravage Rinse can also be used on countertops, sinks, toilets, garbage cans, toys, highchairs, changing tables, public transportation (boats, airplanes, trains, buses, rental cars, etc), sporting gear, exercise equipment and laundry.